There is no denying that hard work and serious preparation are needed to clear the UPSC CSE exam. But it doesn’t mean that you shouldn’t do any smart work in the preparation phase. Remember that this can be done only by choosing the right IAS coaching institute in Chennai for the training. Only such an institute with well-trained experts will help with the right strategy to prepare for the exam, what to analyze in detail, how to allocate time, important subjects to focus and more. To become a successful IAS candidate and clear the exam, you also need to know the common pitfalls that you might come across in the preparation phase to ensure that you do are successful. 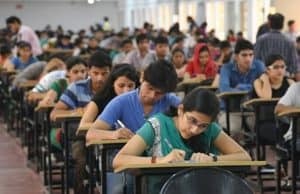 So, if you are a serious IAS aspirant with the ambition to clear the UPSC CSE exam at one go, you need to make sure you understand the mistakes that are common and achieve the desired success, which will make your dream come true. If you get yourself enrolled into the best IAS coaching institute in Chennai, then you will get a lot of information and tips from the well-trained experts over there. The first thing that they will tell you is to stop believed in rumors and gossips related to the exam and preparation phase. Fellow IAS aspirants and seniors may spread a lot of rumors but they experts will tell you that you should believe only in the government sources and not any other third-party source. If you do believe in rumors, then you will miss out on the big picture. The next thing that the experts handing IAS coaching classes in Chennai will tell is not to consult too many books. There are a plethora of study materials and books available right now. And, you can find out hundreds of books on any specific topic. Usually, most books will cover the same topics and sub-topics. So, it might become an exasperating task for you to choose a specific book. Eventually, you might land up referring multiple books for a single topic. But keep in mind that referring too many books will result in redundancy and consume too much time. In addition to reading, you should also develop writing skills. Writing practice is very important during the preparation phase. So, do make sure you choose an IAS coaching institute in Chennai that focuses on giving the best writing practice. Do remember that in the Mains exam, you will have to more than write a lot within a specific time duration. So, you need to develop efficient writing skills to clear the exam. When you indulge in IAS training and attend IAS coaching classes in Chennai, you need to make sure that you take proper care of your health. Long hours of preparation and studies will definitely have its impact on your health. So, it is important to ensure that body and mind are in proper condition. Remember that human mind cannot process as well as analyze data beyond a specific time span. If you force yourself to learn more without any rest and sleep as there is a cut-throat competition in front of you, then it will take a toll in your health. Many IAS aspirants do this common mistake. They cut down their duration of sleep, the time they spend on recreational activities and their dose of entertainment. Undoubtedly, this will lead to continuous and excessive studies without any break. Remember that proper sleep for 7 to 8 hours a day is very important for a fresh and healthy body and mind. So, make sure you take proper rest and sleep while aiming to clear the USPC CSE exam. After all, you cannot achieve anything when your health deteriorates.